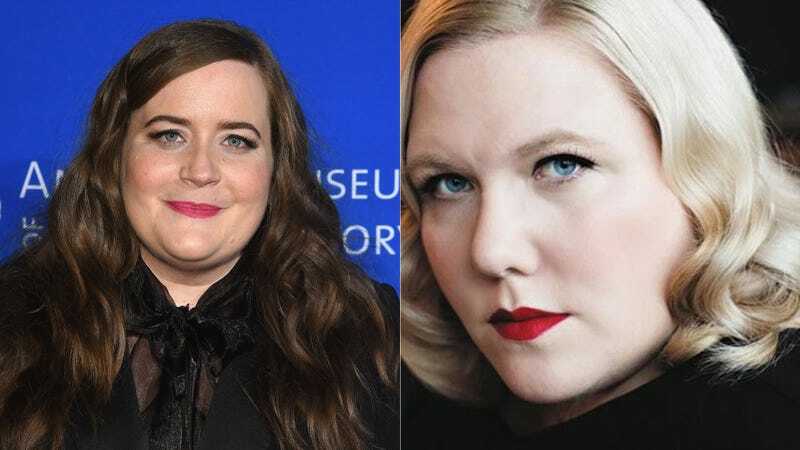 Our dear friend, author and former Jezebel staffer Lindy West, is having her best-selling memoir, Shrill: Notes From a Loud Woman, adapted into a Hulu series with another woman we love, Aidy Bryant. In late 2016, seven months after its release, Elizabeth Banks optioned Shrill with the aim of adapting it for television. Two years (and two additional book deals) later, the Shrill TV show has been sold and is currently being developed for Hulu by Saturday Night Live’s Lorne Michaels and Aidy Bryant. According to The Hollywood Reporter, the Hulu take is “the story of a fat young woman who wants to change her life, but not her body.” Bryant will star as West in the single-camera comedy. West, Bryant and Ali Rushfield penned the screenplay. No date is set for its release yet, but it’s safe to say we’re FREAKING OUT! In anticipation of what’s sure to be your new favorite show, I suggest looking back at Lindy’s 13 steps to stop being shy, an especially memorable excerpt from Shrill.